When Capcom released Resident Evil 6 on the the PlayStation 3 and Xbox 360 last October, the company seemed confident that it would be yet another massive hit. The Resident Evil games have always been beloved by fans and have perennially done well at retail, so it stands to reason that Resident Evil 6 would continue that trend. The only thing that could cause a new entry in an established franchise like this to fail would be a huge number of baffling design choices or a near-complete ignorance of what made its predecessors so successful. Unfortunately, as our review points out, that’s exactly what went into Resident Evil 6, and almost immediately following the game’s debut it was branded a failure. Hoping to somehow salvage the game’s fortunes, Capcom has spent the months since its release coming up with new schemes to draw potential gamers to the title. New multiplayer modes, extra characters; anything that could possibly qualify as downloadable content has seemingly been created for Resident Evil 6, though as the game’s sales figures demonstrate, it’s probably long past time for Capcom to simply cut its losses. Don’t tell Capcom that though, as the publisher is still hoping against hope that it can somehow strike gold with some incarnation of Resident Evil 6. Its final hope may be the game’s PC version, which is scheduled for release on March 22. Instead of merely bringing the console game to home computers with improved resolutions and pretty new graphical effects, Capcom is also promising fans a number of PC-exclusive features (at least for now). An online multiplayer mode for two to six players, Siege sees a lone AI-controlled rookie BSAA agent in trouble and in need of help. Players will split into two teams with one assuming control of enemy creatures who are trying to take down the rookie, while the other team selects playable characters from the main game and must keep him alive. Each game consists of two rounds with teams switching between the human and enemy roles. The human team wins a round if the BSAA agent survives, while the enemies win if they can defeat him. Siege will also be coming to the Xbox 360 and PlayStation 3, while PC gamers get the mode for free, console owners will need to shell out $4 for Siege. Capcom also revealed that henceforth any DLC content released for the console versions of Resident Evil 6 will also be available for the PC game, and all future console DLC will be free to PC players. 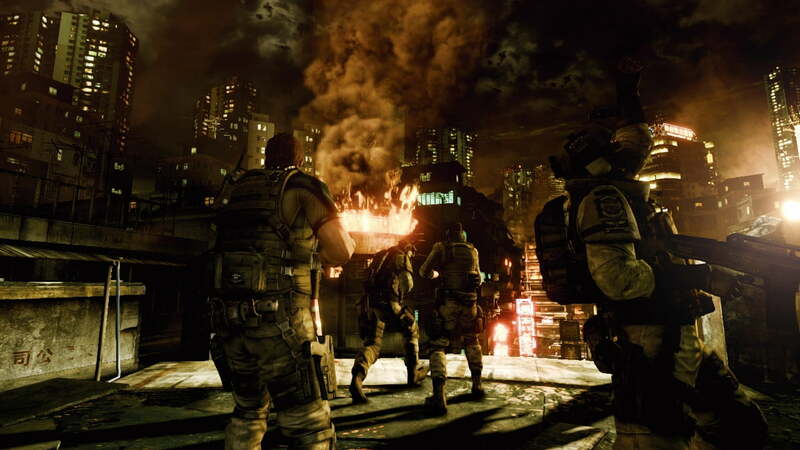 Consider it Capcom’s mea culpa for forcing PC players to wait six months for Resident Evil 6.